2016 will certainly go down as one of the weirdest years in recent history. 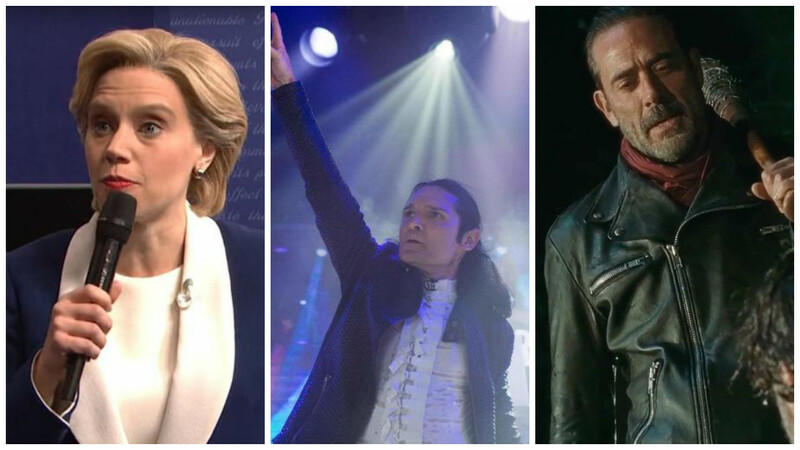 From a nation making memes out of a dead gorilla, to the deaths of icons such as Prince and David Bowie, and a brutal election, this year was crammed with trending moments at every turn. With all of that depressing stuff going on, it’s a good thing that TV in 2016 was so absolutely phenomenal, it helped us soothe the pain a little bit. Some of the best moments in television history happened this year (or at least the most shocking), so to help you take a look at the bright side as the year comes to a close, we’re looking back at 20 of TV’s biggest moments in 2016. There will be spoilers for some popular programs. You have been warned. 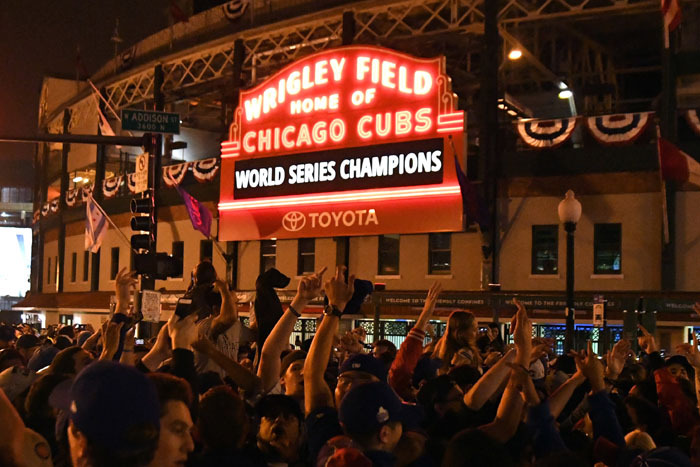 Back To The Future’s prediction of the Chicago Cubs winning the World Series was a year off, but the team’s devoted fanbase easily forgave the film during the 2016 World Series, which culminated in a 10-inning battle against the Cleveland Indians in game seven. 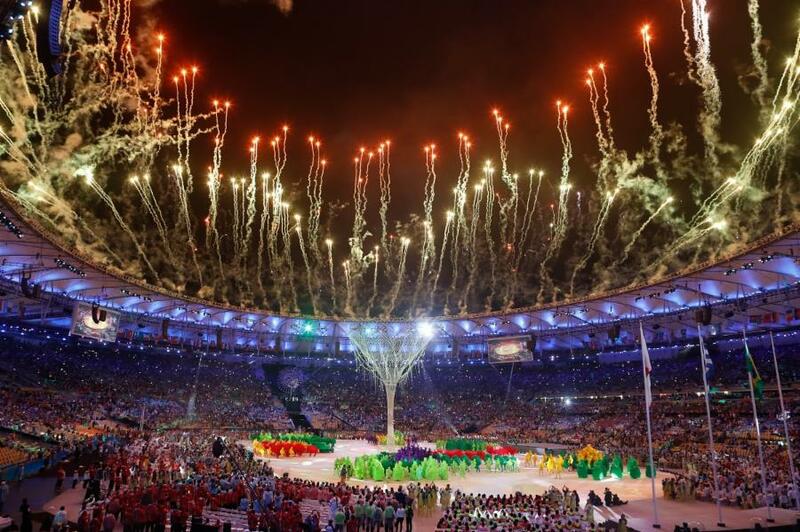 The 2016 Summer Olympics was filled with so many major stories, including Michael Phelps’ retirement and Ryan Lochte’s lie heard around the world. In the end, the United States were dominant with 46 gold medals and 121 medals overall. Fans of golf and rugby were thrilled to find out these two sports made their grand return to the event; the last time golf was in Olympics was back in 1904, and rugby’s last appearance was in 1924. This was also the first major sporting event to utilize a live Descriptive Video Service audio track for their blind fans. In the hit HBO series Game of Thrones, Hodor was the beloved stablehand who can only respond by saying his name, but actor/DJ Kristian Nairn, who had a recurring role as the character since the first season, stated there are 70 ways to say it. In the season six episode “The Door,” fans learned a bit more about the character, but it came with a price. 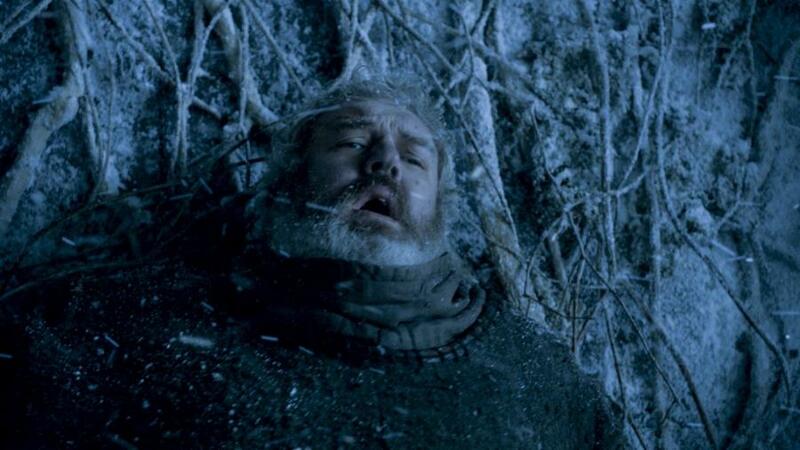 Hodor was killed while protecting Meera and Bran from the White Walkers. The episode debuted with 7.89 million viewers, but more importantly, it drew critical awareness on how important it is to hold the door. 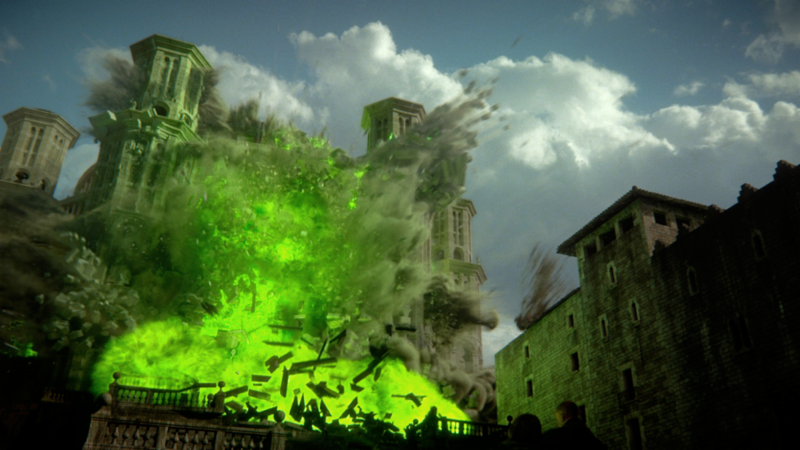 All hell broke loose during the season six finale of Game of Thrones. Cersei Lannister unleashed a fury never seen before on the show with a wildfire that killed the High Sparrow, Queen Margaery Tyrell, and various others. With all of the madness taking place, Cersei just smirks and sips her wine. The episode, which was watched by 8.89 million viewers, gained universal praise, and is considered one of the best television episodes of all time. At the 2016 Emmys, it won the award for Outstanding Costumes for a Period/Fantasy Series, Limited Series, or Movie, and Lena Headey received a nomination for Outstanding Supporting Actress in a Drama Series. 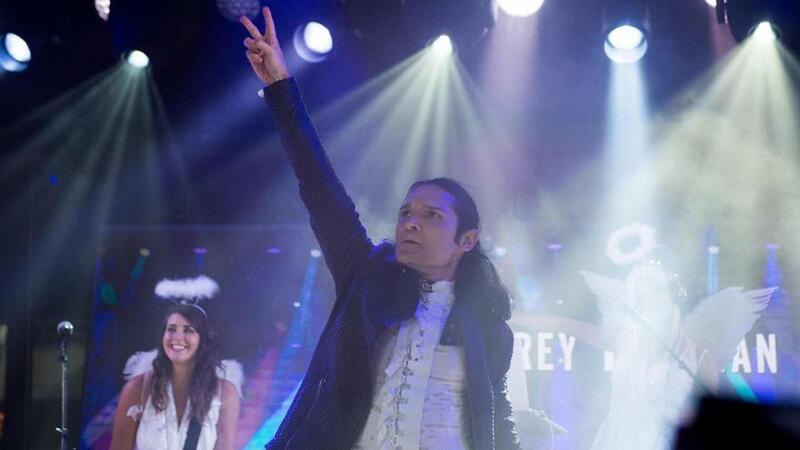 Since 1992, actor Corey Feldman has been releasing music, but none of the releases ever made it to a wide audience. In the summer, he released his fifth studio album “Angelic 2 the Core,” which featured appearances from Snoop Dogg and Fred Durst. While Tom Welling played Clark Kent for 10 seasons on Smallville, he wasn’t seen in the classic Superman suit until the very final episode. 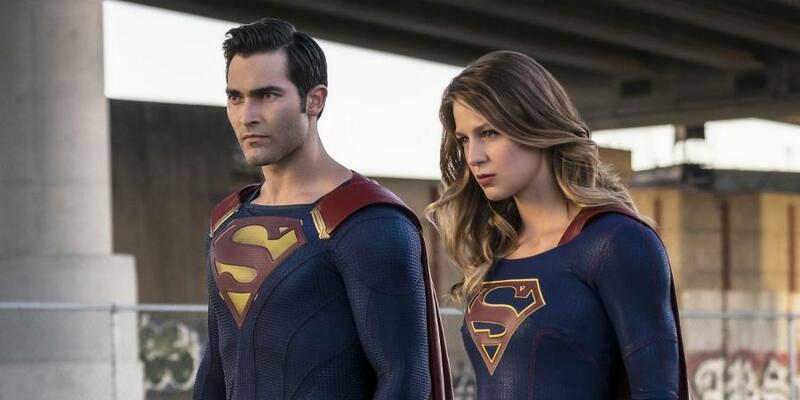 Fans have waited nearly 20 years to see Superman on the small screen again, and when it was revealed that the second season of Supergirl would bring him on a pair of episodes, the internet freaked out. A slew of people wanted Welling to reprise his role, but the producers of the show hired Teen Wolf star Tyler Hoechlin instead to appear in the episodes “The Adventures of Supergirl” and “The Last Children of Krypton.” Both episodes gained around three million viewers apiece. After seven years with the Cleveland Cavaliers, Lebron James broke the hearts of many fans when he signed with the Miami Heat in 2010 and won two NBA Championships in the process. While victory is sweet, this left a sour taste in James’ mouth, and he wanted to return home to finally give the Cavaliers their first NBA Championship in their 46-year history. He did just that at the 2016 NBA Finals rematch against the Golden State Warriors, who defeated the Cavaliers to win their title in 2015. Game 7 of the NBA Finals were watched by 31 million people. This was the first time a team came back from a 3-1 deficit to win the title. 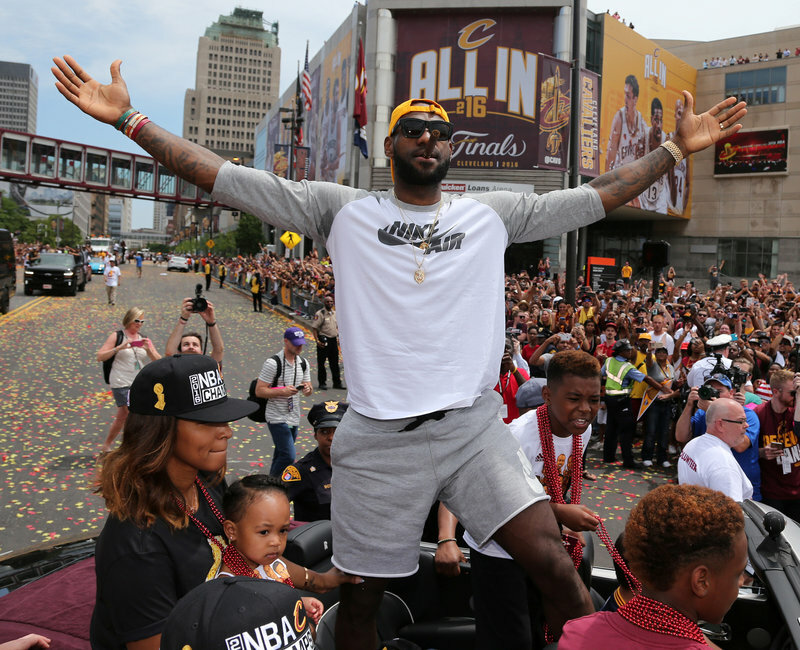 For the city of Cleveland, this was the end of a 52-year championship drought from their major sports teams. 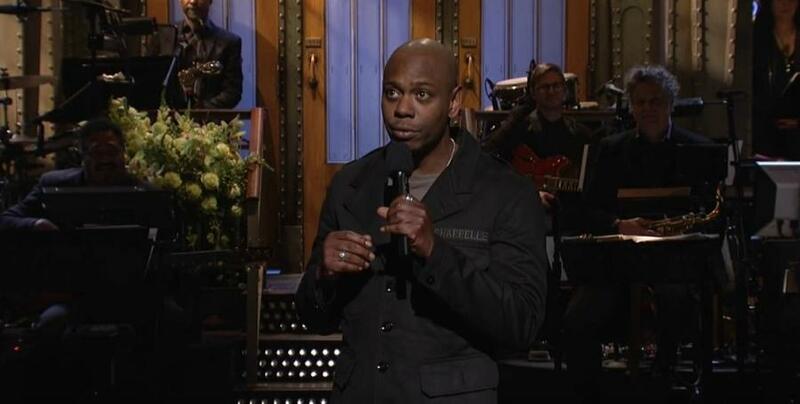 Since leaving the highly popular Chappelle’s Show in 2005, comedian Dave Chappelle has been doing sporadic stand-up appearances across the country. In November, the Washington D.C. native announced his hosting duties on Saturday Night Live, and nothing was safe from the comedian, who dished on major topics such as the recent election and racism in his opening monologue. The episode, which also featured a reunited A Tribe Called Quest, was a success with 6.2 million tuning in to watch the return of Chappelle’s Show characters Tyrone Biggums, Andy “Silky” Johnston and Beautiful, Chuck Taylor, Lil Jon, and Clayton Bigsby. Since taking the hosting gig for The Late Late Show in 2015, James Corden has been turning heads with his brand of comedy. While it debuted last year, his Carpool Karaoke segment, which features him singing karaoke in the car with various celebrities and musicians such as Red Hot Chili Peppers, Justin Bieber, and Stevie Wonder, exploded in 2016 with his January 13 segment with Adele, which received nearly 138 million views on Youtube and became the one of the most viral videos of 2016. On March 26, CBS released the special The Late Late Show Carpool Karaoke Primetime Special, which was awarded the 2016 Emmy for Outstanding Variety, Music, or Comedy Special. In January, actress turned Fox News commentator Stacey Dash expressed her opinion that Black History Month and channels like BET should be eliminated to promote equality. Obviously, this didn’t sit well with many people; BET slammed her remarks by reminding her of the recurring role she had on The Game, which aired on the network. Chris Rock, who hosted the Oscars for the first time in a decade, insisted on using the actress in his opening monologue regarding inequality in award shows. 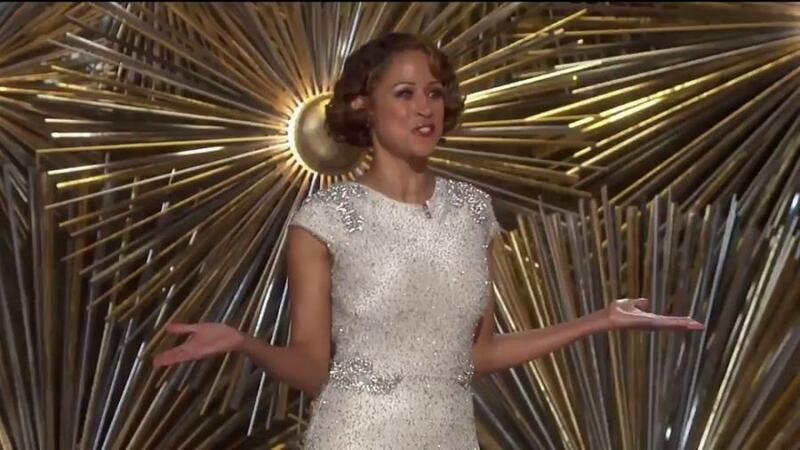 When Dash, who was jokingly called the director of the Oscars’ new minority outreach program, appeared on stage to wish everyone a happy Black History Month, the entire Dolby Theatre was completely silent. 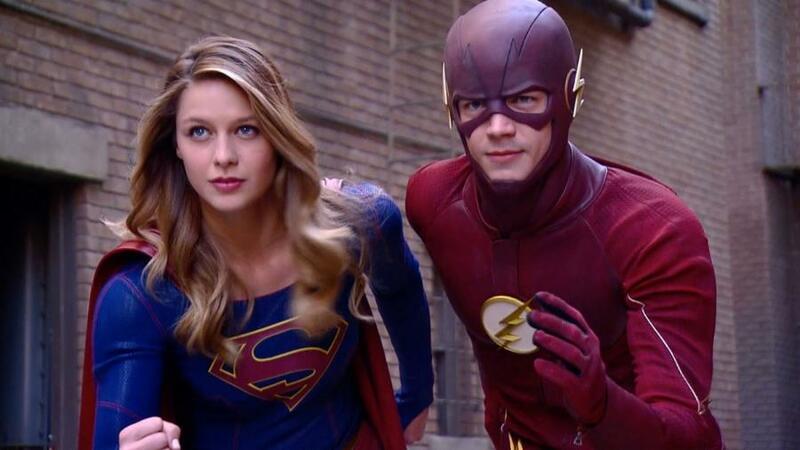 When Supergirl was announced to premiere on CBS in the fall of 2015, many comic book fans were confused as to why it wasn’t on The CW instead alongside fellow DC Comics series The Flash and Arrow. In March, fans got what they wanted with a crossover between the two. On the Supergirl episode “World’s Finest,” The Flash appears after he accidentally crossed into Supergirl’s universe while using a tachyon device. This reunited Grant Gustin with his former Glee co-star Melissa Benoist. With Supergirl‘s move to The CW in the fall of 2016, the character was involved in another crossover event titled “Invasion,” which was a massive four-night event involving The Flash, Arrow, and Legends of Tomorrow. After 15 seasons on Fox, American Idol said goodbye due to falling ratings over the years. The finale took place on April 7, and it featured a slew of performances from past Idol contestants, including Grammy winner Kelly Clarkson, Oscar winner Jennifer Hudson, and “She Bangs” singer William Hung. 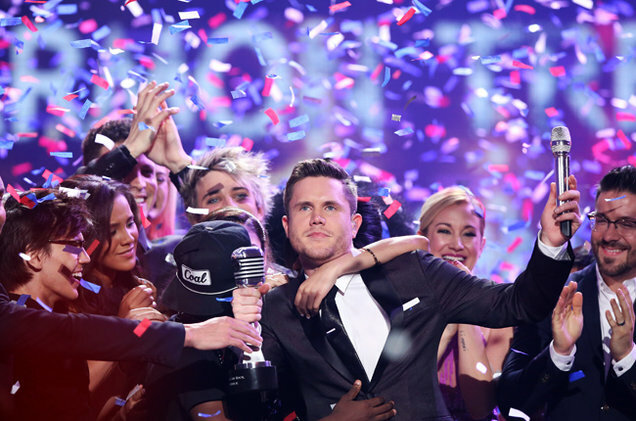 In the end, Trent Harmon was declared the winner, and he received a contract with Big Machine Records along with runner-up La’Porsha Renae. The finale drew 13 million viewers, which made it the number three show of the week. While the show ended with Ryan Seacrest saying, “Goodnight, America….for now,” the host insisted that he didn’t want to say goodbye to the program. In 2012, NFL Hall of Famer Michael Strahan joined Kelly Ripa for Live with Kelly and Michael, and the ratings for the show were enough to defeat NBC’s Today Show. During this time, Strahan also started working part time with Good Morning America. On April 19, Strahan revealed on Live with Kelly and Michael that he was leaving the show to work for GMA full time. This news ticked off Kelly Ripa, who wasn’t told of the change until it was announced live. It wasn’t the first time this happened to Ripa, though; she wasn’t told of Regis Philbin’s departure in 2011 until 15 minutes before he announced it live on air. Strahan left Live with Kelly in May and started his full-time gig with GMA four months later. Fans of The Simpsons know that the folks behind the iconic series love to shake things up a bit from time to time. 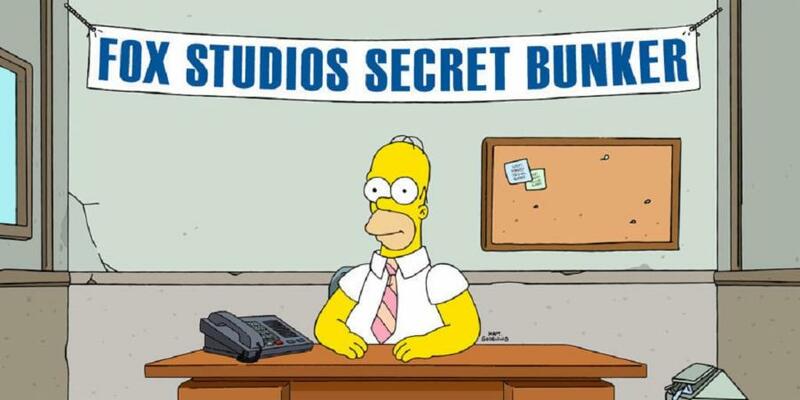 For the episode “Simprovised,” which aired on May 15, Fox ended the show with a three-minute segment where fans in the United States engaged in a live Q&A session with Homer Simpson. There were two different live sessions for East and West Coast viewers. In order to pull it off, the animators used Adobe Character Animator to sync Dan Castellaneta’s voice with Homer’s mouth. The episode drew 2.8 million viewers that night. Modern Family has brought laughs and tender moments to audiences since 2009, and they made history during season eight with the episode “A Stereotypical Day.” This specific episode involves a transgender student named Tom and the lessons of respect. Eight-year-old transgender actor Jackson Millarker made his TV debut as Tom and made history as the youngest transgender child ever featured on a scripted television series. The episode, which was seen by 7.4 million people, received high praise from various publications. Other shows have also opened the doors for transgender actors such as Doubt, Faking It, and Nashville. While the two Ghost Rider films starring Nicolas Cage made around $360 million combined, many devoted fans and movie critics were upset with the films’ poor CGI and acting. 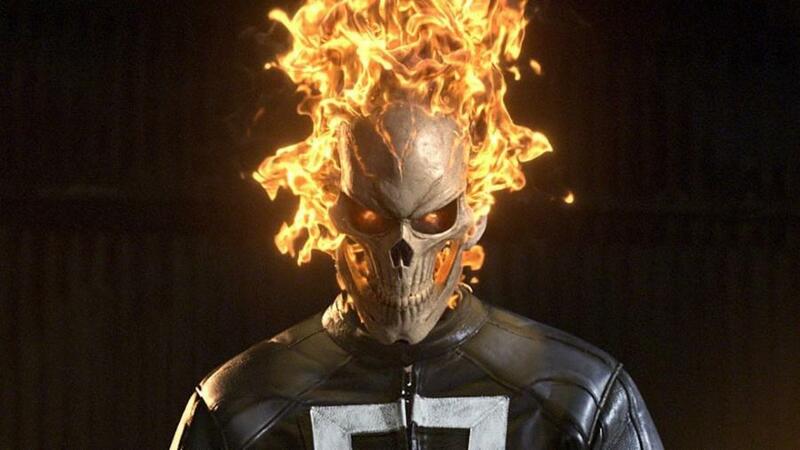 During San Diego Comic Con 2016, it was revealed that Ghost Rider would make his return to the fourth season of Agents of S.H.I.E.L.D., but they chose to use the newer Robbie Reyes character instead of the iconic Johnny Blaze. With Matador actor Gabriel Luna tapped to play the hero, fans of all things Marvel weren’t disappointed with the fresh on-screen revival of a classic character. Nyle DiMarco may be deaf, but the New York City native didn’t let that stop him from acting in the shows Switched At Birth and Beautiful People. In 2016, he took part of the hit ABC dancing competition Dancing with the Stars, making him the second deaf contestant to appear on the show. 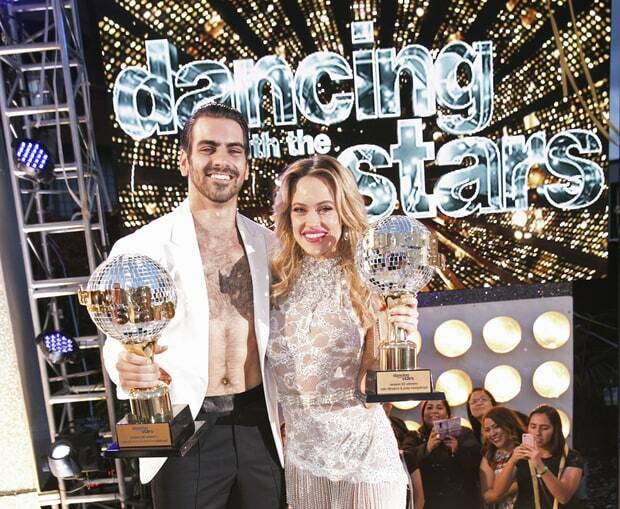 With his dancing partner Peta Murgatroyd, DiMarco won the competition, and became the first deaf person to win on the show. He’s rather familiar with making it to the top on reality shows; in 2015, he won season 22 of America’s Next Top Model. During season six, fans of the hit AMC series The Walking Dead were waiting for the arrival of Negan. For actor Jeffrey Dean Morgan, who is an avid fan of the comic book series, it was a dream come true. The season finale of season six titled “Last Day on Earth” left fans wondering who Lucille would strike dead. 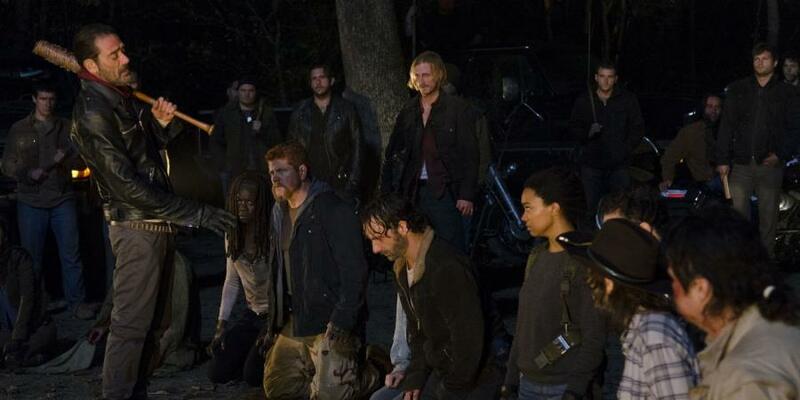 The episode gained 14.1 million viewers and led to months of speculation on who would be leaving the show. Many critics weren’t fond of the cliffhanger ending, but they all could agree on Jeffrey Dean Morgan’s stellar performance. 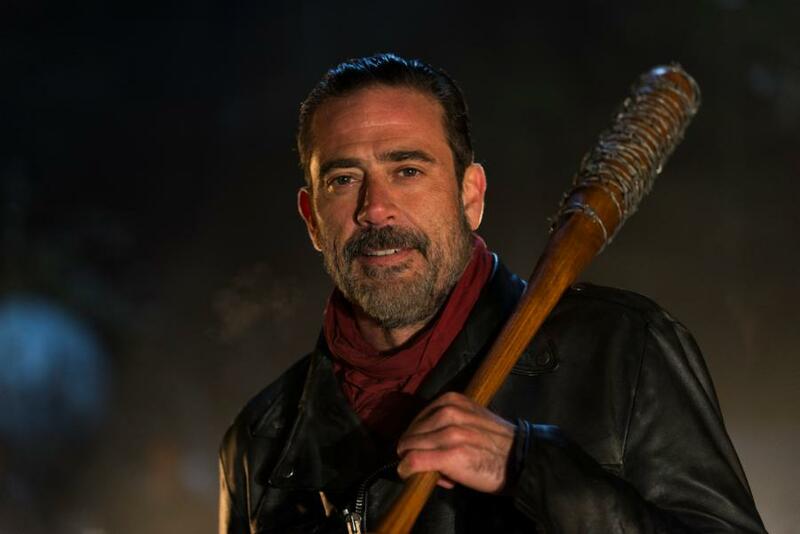 On October 23, the season premiere of The Walking Dead titled “The Day Will Come When You Won’t Be” arrived, and fans finally got to learn the fate of two characters. Glenn’s death on the show mirrored his demise in the comic books while Abraham’s death was altered for TV. The episode drew 17 million viewers, which made it the series’ second-highest rated episode ever and the most watched show that evening. While it was a success, the episode drew criticism from fans and critics alike for its gruesome depiction of Glenn and Abraham’s death. 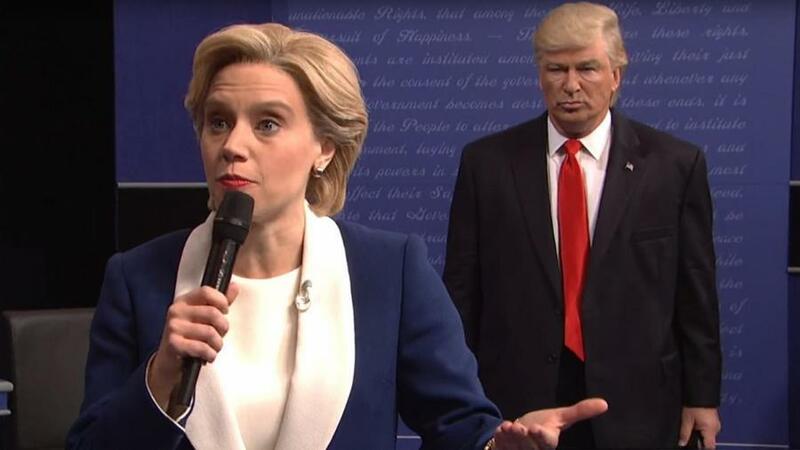 The 2016 presidential debates between Donald Trump and Hillary Clinton drew record numbers, and aside from his constant sniffling at the podium, the billionaire raised eyebrows when he followed Clinton around the stage during the second debate at St. Louis’ Washington University.